We do not outsource our work. All projects are handled by us and completed within a time period specified within our quote. Custom Templates or addon features for Pinnacle or X-Cart shopping Cart. We can update your current website to meet your current needs. Over time changes are required as your business grows or services are changed. Also software upgrades and newer internet standards may cause problems with your site. We can make the changes you need to keep your web site fresh and up to date. 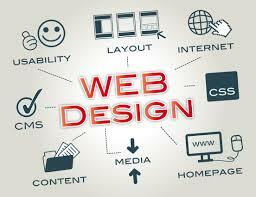 We have created Websites for many businesses. Our work covers many different type of companies both small and large. Contact us for a quote on your design. Whether your budget is large or small we can work out a plan for you. If you are a do it yourself type then we have a free website builder with every hosting account. Just choose from over 200 free themes to use. Customize your theme, create your pages, drag and drop items and in place edit of content.